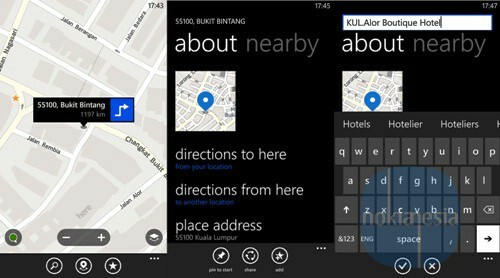 Nokia HERE Maps is one of the best Mobile Maps application for your Nokia devices. 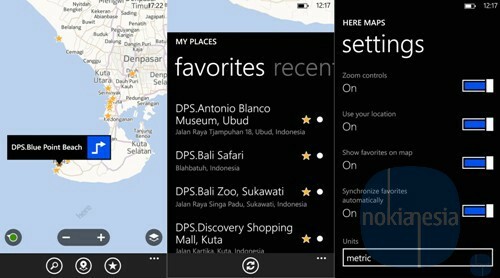 Since Nokia Maps on Nokia Symbian/Nokia Belle devices, actually we can manage "Favorite Places" or "My Places" and synchronize it easily between Nokia HERE Maps on PC and Nokia HERE Maps on Nokia Lumia Windows Phone 8. For travelers, it will helps to find some Point of Interests and save it to "Favorite Places" or "My Places" from HERE Maps web. After that you just open your HERE Maps Application and Sync it. All your Favourite places will be show up. There are 2 ways synchronization available, HERE Maps on PC to HERE Maps on Nokia Lumia Windows Phone 8 and from HERE Maps on Nokia Lumia Windows Phone 8 to HERE Maps on PC. 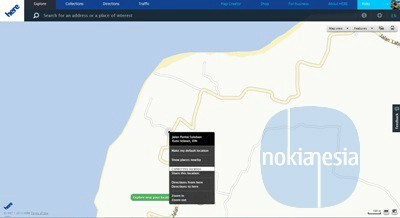 What you need is only HERE Maps Application on Nokia Lumia Windows Phone 8, PC/Laptop with Internet connectivity and Nokia Account. First, we will show you how to add a Place/Point of Interest and save it to our Favourite Places and sync it from PC to our Nokia Lumia 920. 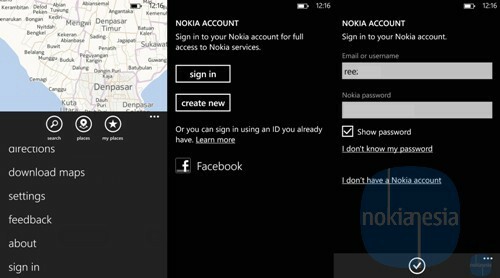 Simply choose a place that you want to add, right click and click "Collect this location"
Open HERE Maps app on your Nokia Lumia Windows Phone, sign in, and choose a place that you want to add to "Favorite Places". Your new "Favorite Place" will be synced to HERE Maps web and you can manage it from "Collection"
If you have any questions, you can ask us via twitter or simply leave your question on the comment section below. Happy Travelling ! !